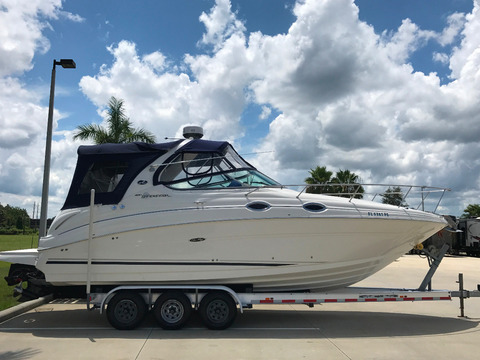 1986 Sea Ray 268 Sundancer cabin cruiser with original upholstery in excellent condition. Cabin cushions and upholstery in new condition. Boat has been very well cared for. 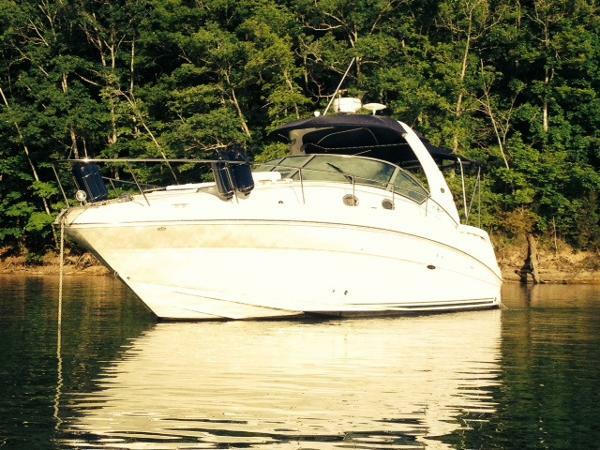 Has a re-manufactured 5.7 mercruiser I/O with less 400 hours. No hour meter. Have paper work for new engine and all work done on boat. 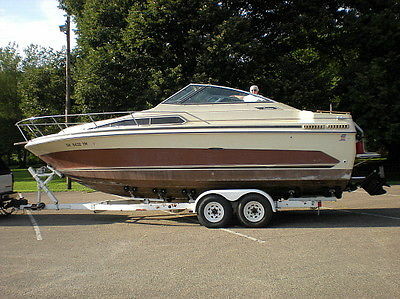 Boat had been in storage for a few years and had carburetor rebuilt and new water pump last year. Has new camper canvas and 2 biminis with screens and plastic windows. New within last few years. Also older mooring cover. Has hot water heater. Aft Cabin. This is a fantastic boat, but just too big for the two of us senior folks. This is a great Lake Erie fishing boat. Trailer is in very good condition with new tires last year. Always used in fresh water. Everything on boat works. 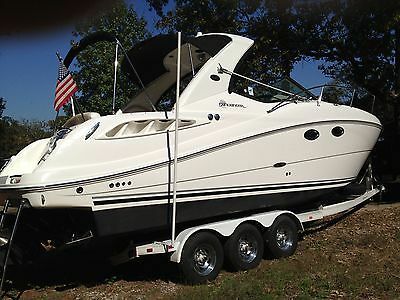 Sea Trial available to serious potential buyers with cash in hand.